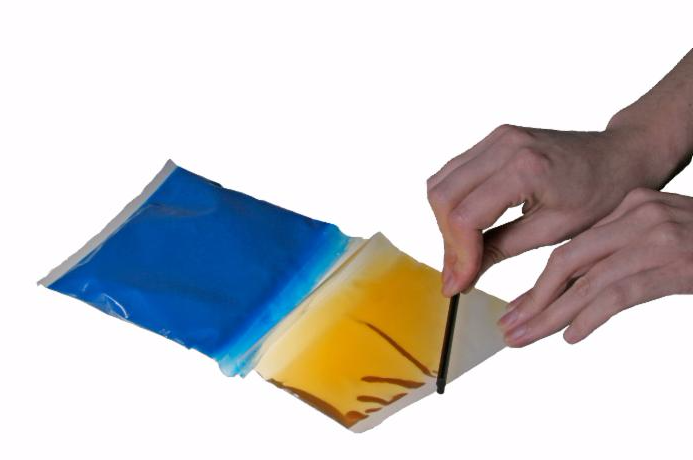 With our clipped twin pack pouch, the pouch is folded over a rod at the desired location, and a clip is put in place to secure the barrier. The two sides are filled and sealed, and the clip and rod are then removed to create a one cavity pouch. Side-by-side cartridges perform the same function as a Meter / Mix / Dispense (MMD) system in a miniature, manually operated format. By opting for a cartridge over MMD equipment, a considerable cost saving can be made. 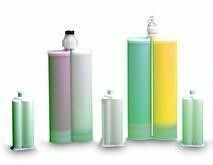 Cartridges are available in a variety of sizes from 50ml through to 1500ml. Save any hassle by contracting Robnor Resinlab to expertly blend and fill your in-house formulations using our impressive range of change pan mixers and ball mills mixers. We are equipped to modify batches of all sizes and can change properties such as viscosity and colour, as well as add in conductive fillers or spacer beads. It is recommended that these changes are made during the repack process. Worry not about human error on your production line, our pre-mixed & frozen service offers the ultimate in convenience and reliability. Let us mix, degas, weigh and package your 2k system before flash freezing it.